McDonald’s is continuing its commitment to give customers more tastes and choices from McCafé. This summer, McDonald’s will debut new McCafé Cold Brew Frozen drinks. These delicious, blended beverages – available as either a Cold Brew Frozen Coffee or Cold Brew Frappe – offer a refreshingly cold twist on cold brew and are the perfect treat to cool down and recharge with. 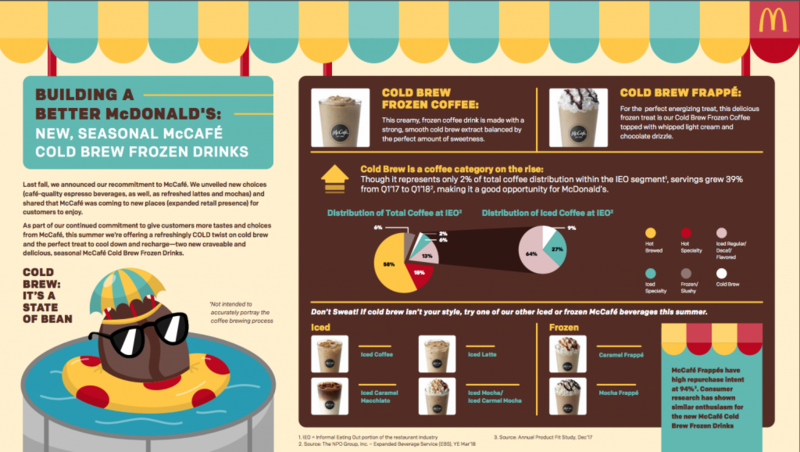 Cold Brew Frozen drinks will join McCafé menus at participating U.S. restaurants beginning on June 13 for a limited time. Cold Brew Frozen Coffee: A strong but smooth cold brew extract is blended with ice into a cold, creamy frozen drink. Cold Brew Frappe: For the perfect treat, this delicious frozen drink is our Cold Brew Frozen Coffee topped with light whipped cream and chocolate drizzle. 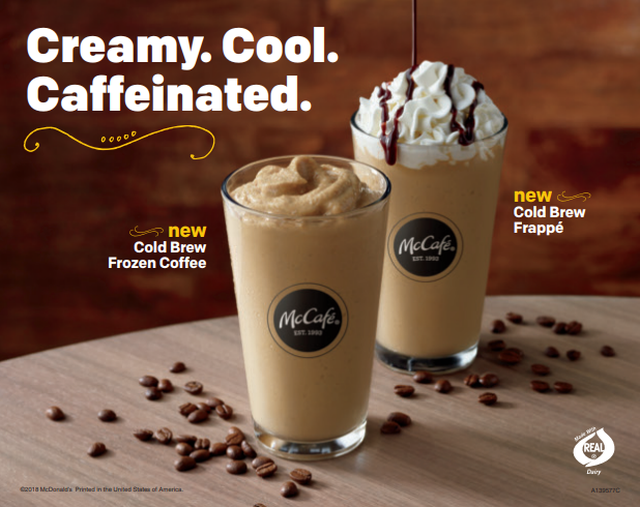 The introduction of the seasonal, limited-time only Cold Brew Frozen drinks is just one way McDonald’s is continuing to bring customers more craveable and delicious McCafé offerings. Last year, McDonald’s elevated the McCafé experience and introduced café-quality espresso beverages to its McCafé lineup – Caramel Macchiato, Cappuccino and Americano – all part of the company’s journey of building a better McDonald’s. Any of McDonald’s small McCafé espresso drinks, including the new Cold Brew Frozen drinks are available for just $2 as part of the $1 $2 $3 Dollar Menu. People are already saying good things. *To determine which McDonald’s locations in your area are participating in restaurant delivery, simply download the Uber Eats app, input your delivery address, and you will see a list of participating McDonald’s restaurants in your area (if McDelivery on Uber Eats is available in your area). Changing the delivery address will also change the available McDonald’s restaurants shown in the Uber Eats app. $1 $2 $3 Dollar Menu pricing not valid for delivery. Delivery prices may be higher than at restaurants. Uber Eats booking fee applies. See the Uber Eats app for details.